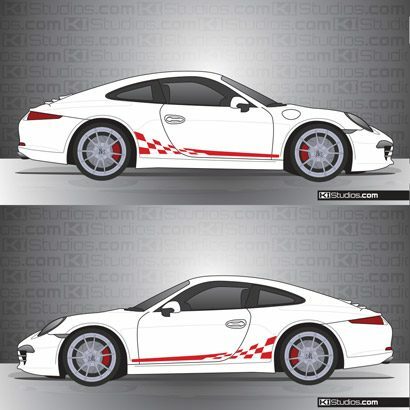 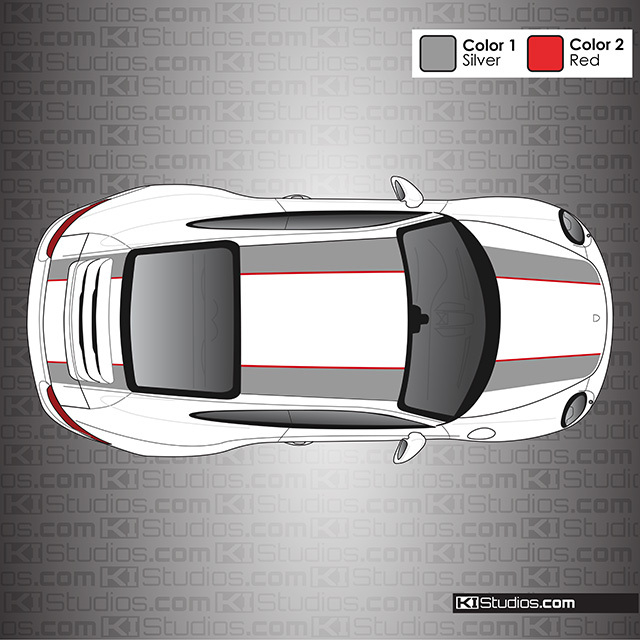 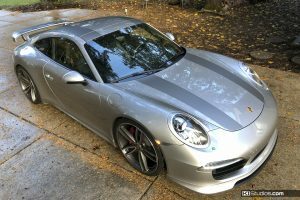 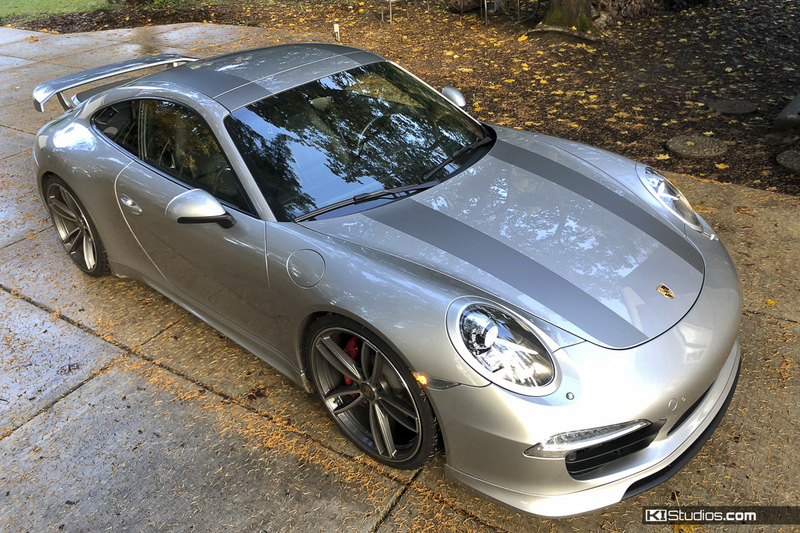 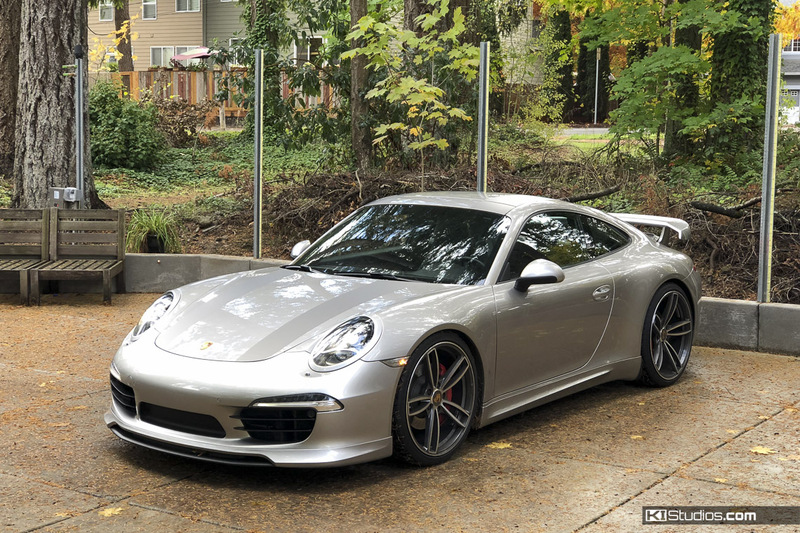 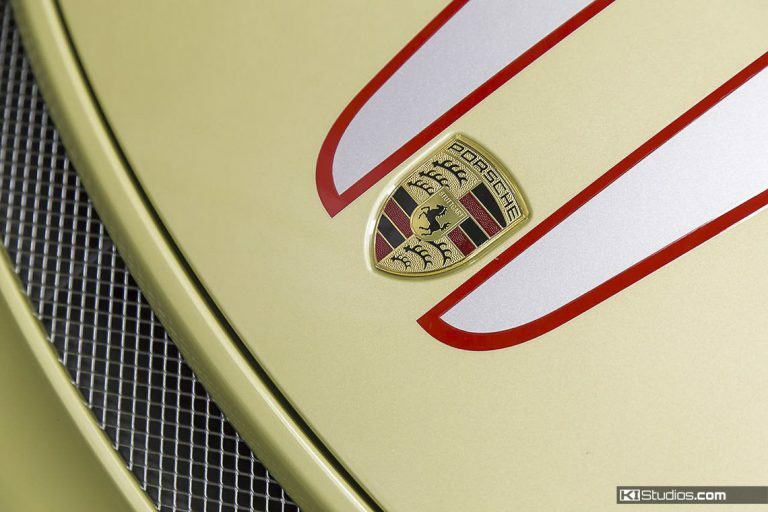 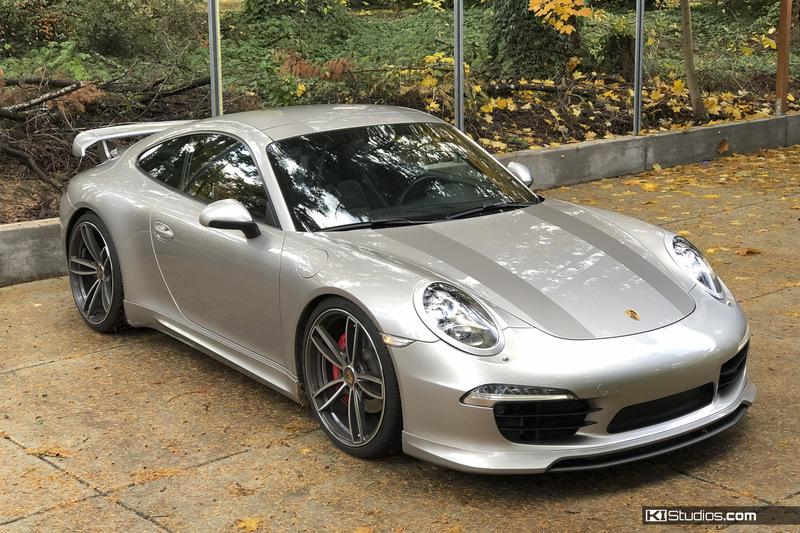 This stripe kit features the Porsche 911R stripes custom fit for the Porsche 991 Carrera. 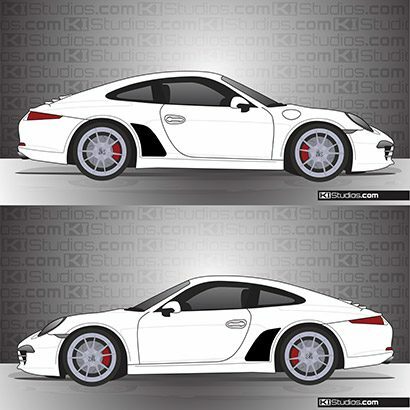 You can choose to keep them simple in only one color with no accent, or add a color accent for an additional cost. Keep in mind this kit is a bit more challenging to install than some of our other stripe kits. 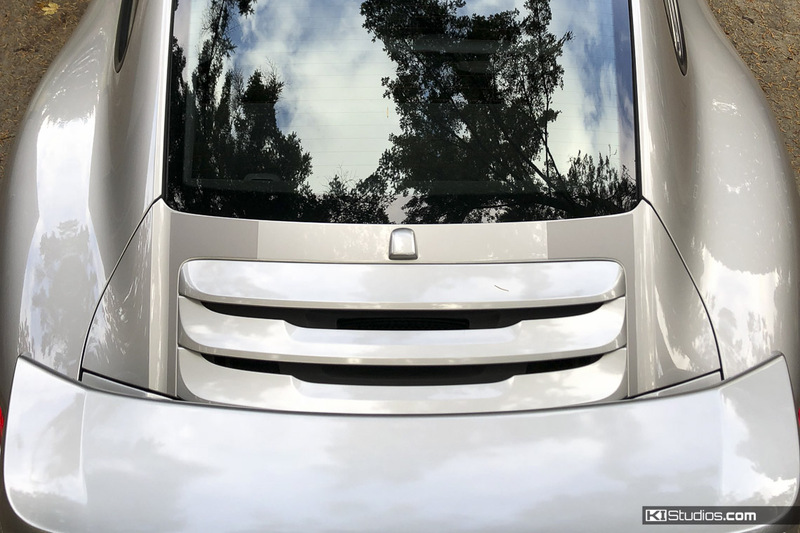 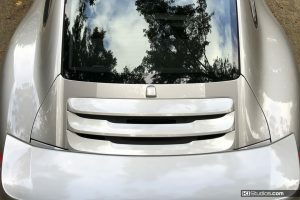 This is due to the large size and the contours of the car. 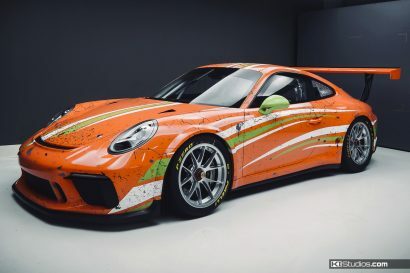 If in doubt, hire a pro to install your 911R stripes. 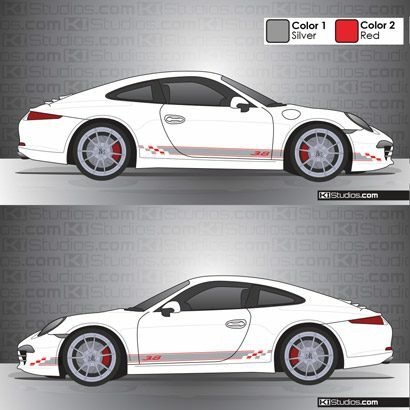 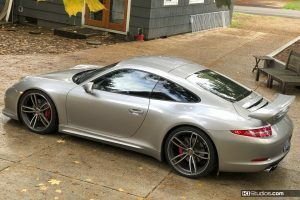 Choose 991 or 991.2 from the drop-downs when ordering. 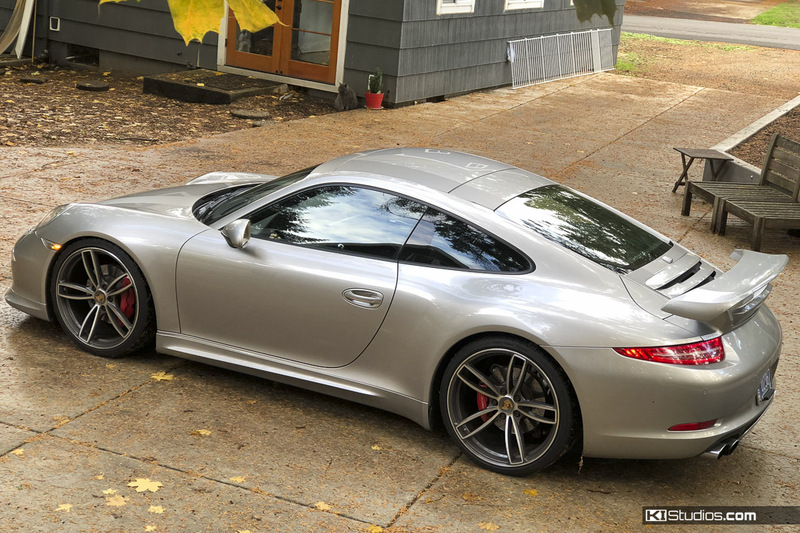 *Matte Platinum Grey – Matches factory Matte Platinum Grey wheels. 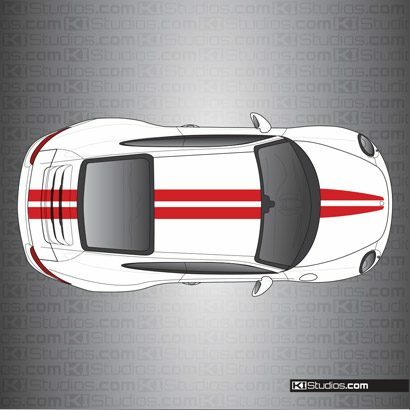 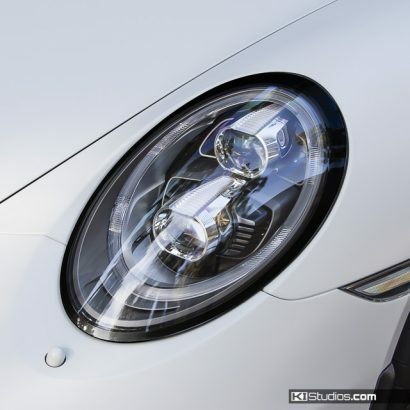 Porsche 911R stripes for the 991 Carrera. 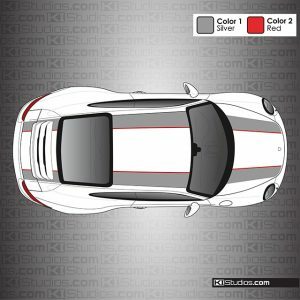 Choose single color stripe or add an accent color. 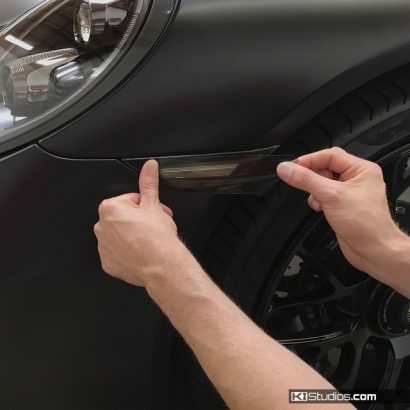 High-performance cast air-release wrap vinyl for dry installation.